It’s been a busy 6 months here at RE•WORK! We kicked off the new year by hosting our third annual San Francisco Deep Learning Summit in January to our largest ever audience! It’s been fantastic to see the community grow year upon year. Experts like Ian Goodfellow, currently at Google who presented at the first Deep Learning Summit in 2015 have come back each year to share their latest work. It’s incredibly inspiring to work in a community with so much passion and support to increase the potential of AI. We then went on to host events focused on healthcare, autonomous vehicles, finance and retail so it’s been great to create new events focusing on sectors that are having a real impact on changing how we interact with the world. We’ve also grown the team and welcomed new team members to join #teamrework! Chloe, Eunice and Leonie are unfortunately saying goodbye after a busy 6 months completing their work placements with us from EHL, but we’ve also said hi to Yaz and Ewa! We’re now spending the summer planning the next events in our Deep Learning Series in London, Montreal and San Francisco as well as our AI Assistant Summits and new topics including Deep Learning for Robotics and AI in Industrial Automation so we’re looking forward to seeing some of you there! 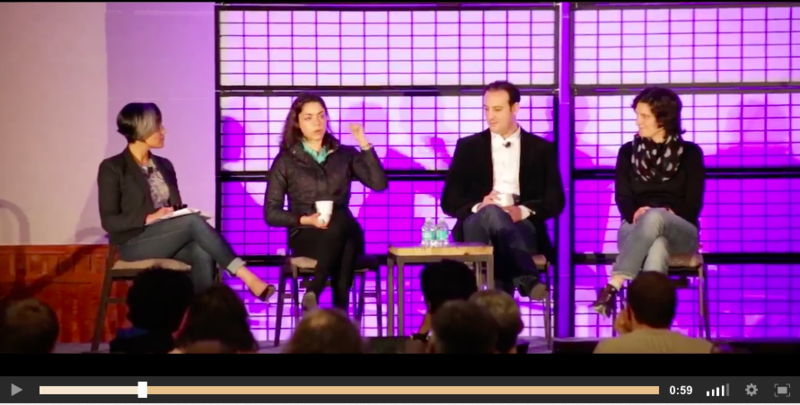 Watch our highlights video here to hear from attendees, speakers and panelists. Alongside our Global Summits, the RE•WORK team make sure there’s plenty of time for team building and post-event unwinding. We’re an adventurous bunch and the past 6 months has seen us taking on activities from aerial yoga and the Crystal Maze, to relaxing cocktails on the canals in Amsterdam. Without fail, at each event we meet some really fascinating people, and is having the opportunity to meet our speakers face to face after months of emailing and virtual preparations is something we all really look forward to. We are often fortunate enough to conduct interviews for our video hub and hear the experts delve into their discussions more detail and answer any questions that were raised during their presentations. 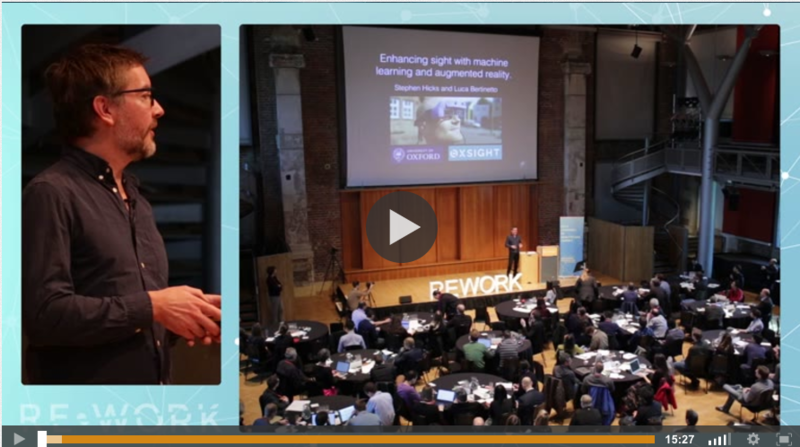 You can watch exclusive presentations and interviews from all of our events on the RE•WORK video hub. Watch a selection of free presentations here, or register for unlimited access! As well as chatting with our speakers, it’s a pleasure for us to receive feedback from our attendees during the events. Each summit has an eclectic mix of CEOs, founders, researchers, data scientists, analysts and partners in attendance, and the comments we receive from each individual allows us to improve our events even further. 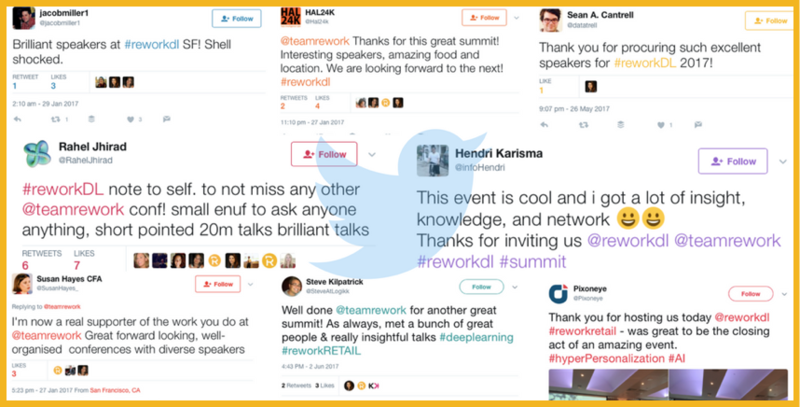 To date, this years thirteen RE•WORK events have taken place across three continents and have covered an array of topics in Deep Learning and Machine Learning. Kicking off the year in January were the Deep Learning Summit, and the Virtual Assistant Summit in San Francisco. We heard from the likes of Ian Goodfellow, Research Scientist at Open AI who spoke about his work in creating Generative Adversarial Networks (GANs) and how they can use deep learning to imagine new, previously unseen data, such as images. The generative model can take things like a sketch and give you a photo that matches that sketch...these are one of the things we can do in the short term with generative models. Across the dual track event, topics covered ranged from the personalization of virtual assistants, raising AI friends, to machine learning for sustainability and image recognition advancements. This time for the Deep Learning in Healthcare Summit where we heard about recent breakthroughs and advancements in healthcare applications, from algorithms that learn to recognise complex patterns within rich medical data, to analysing real world evidence for personalised medicine to discovering the sequence specificities of DNA binding proteins and how it can aid genome diagnostics. You can watch Luca Bertinetto discuss his research in machine learning and computer vision to “create a software to boost any residual vision that a person might have to the point in which they can use their own memory of vision to see and function more effectively” here. We went back across the pond for our second San Francisco event of the year with the Machine Intelligence in Autonomous Vehicles Summit and Machine Intelligence Summit. Perfect mix of perspectives on autonomous vehicles which is one of the most difficult and exciting challenges facing academics, researchers, and engineers today. The speaker backgrounds ranged from philosophy to operations research to deep learning to robotics to policy. I took away a new idea from every talk. Across the two track event we heard from the likes of Apple, University of California, Wall Street Journal, Google Brain, IBM, Airbnb, Amazon, and many more. 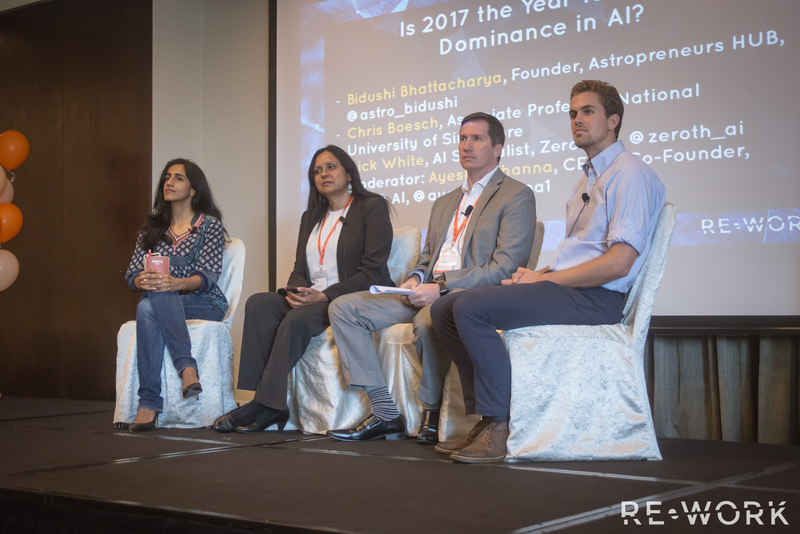 The National Research Foundation are investing up to $150 million into a new programme intended to boost Singapore’s AI, so what better location for RE•WORK to continue the Global Deep Learning Summit Series this past April. We heard how Deep Learning is disrupting the finance sector amongst other industries, and Scott Treloar, Founder of Noviscient, explained how his company are using DL to re-imagine investment management. Scott revealed that he expects ‘FinTechs to be at the front of innovative use of deep learning technologies’ in the coming years. To head more about Noviscient’s use of AI, read the full interview with Scott here. And we’re back for the third year! This time to hear from over 40 speakers in DL and DL in Healthcare. It’s always great to get feedback from our attendees, and the Tweets were coming in thick and fast across the two days! See what Facebook, NASA, Google, Disney Research, and more day to say. As is becoming clear, this past 6 months has been jam packed with events and our small team have been on more flights than we care to remember, and only the next week after Boston saw the RE•WORK team, return to London. With two topics running in parallel, we heard about progressions in FinTech in Deep Learning in Finance Summit, and also ran the first Deep Learning in Advertising and Retail Summit. See how the likes of ASOS, Zalando, Amazon, and Trivago are employing DL to improve their performance in the Day 1 Highlights. At NVIDIA we’re all about helping people solve challenging problems using AI and deep learning - we help developers, data scientists and engineers. As a deep learning solution architect I help companies build their product and try to get them talk about AI. We’re now turning our focus to the new season of events in the Global Deep Learning Summit Series and have our biggest three events to date well underway. This September 21 & 22 we will be in London for the Fourth Global AI Assistant Summit and the Deep Learning Summit where we will hear from Irina Higgins and Jörg Bornschein, Research Scientists from DeepMind who will be presenting their latest work and the most current cutting-edge progressions in deep learning. Early Bird passes are available until July 28th: register now to guarantee a spot at the summit. With Montreal ‘aiming to become a world centre of AI’ and cited the Silicon Valley of DL, we thought it was only right to take the Deep Learning Summit to Canada and we are excited to welcome the godfathers of AI, Yann LeCun, Yoshua Bengio, and Geoffrey Hinton, as the Panel of Pioneers. On October 10 & 11, we will hear about the latest advancements in DL research from Natural Language Processing, GANs, Reinforcement Learning, CNNs, and Unsupervised learning. Alongside this groundbreaking research will be presentations and discussions on Track 2 exploring how businesses can employ DL to optimize efficiency and learn how these technologies can solve a multitude of problems in enterprise. Historically, our biggest event of the year has been in San Francisco every January, and due to popular demand we have expanded the upcoming event next January 25 - 26 to include the AI Assistant Summit, the Deep Learning for Enterprise Summit, and the Deep Learning Summit. Additionally, we will be hosting the Women in Machine Intelligence Dinner on January 23 where leading minds in machine intelligence will come together for an evening of networking and keynote presentations as well as a three course meal. Previously we’ve heard from the likes of Kathy McGroddy from IBM Watson Health, Irina Higgins from Google DeepMind, and Alice Gao from Deep Genomics just to name a few. Registration is now open, and Early Bird passes are on sale for all three San Francisco Summits.